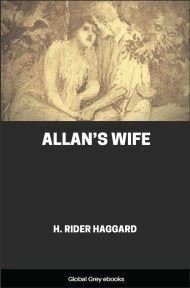 The 4th publication in the Allan Quatermain series. 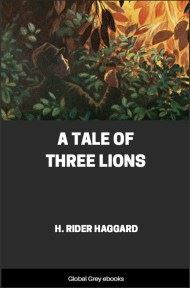 In this thrilling tale of danger and adventure, young Harry joins his father, the famous Alan Quatermain, on a hunt for lions deep in Africa. 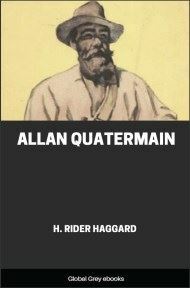 Most of you will have heard that Allan Quatermain, who was one of the party that discovered King Solomon's mines some little time ago, and who afterwards came to live in England near his friend Sir Henry Curtis. 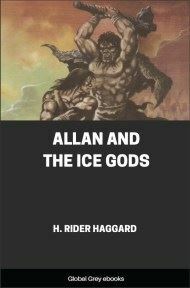 He went back to the wilderness again, as these old hunters almost invariably do, on one pretext or another. They cannot endure civilization for very long, its noise and racket and the omnipresence of broad-clothed humanity proving more trying to their nerves than the dangers of the desert. I think that they feel lonely here, for it is a fact that is too little understood, though it has often been stated, that there is no loneliness like the loneliness of crowds, especially to those who are unaccustomed to them. "What is there in the world," old Quatermain would say, "so desolate as to stand in the streets of a great city and listen to the footsteps falling, falling, multitudinous as the rain, and watch the white line of faces as they hurry past, you know not whence, you know not whither? They come and go, their eyes meet yours with a cold stare, for a moment their features are written on your mind, and then they are gone for ever. You will never see them again; they will never see you again; they come up out of the unknown, and presently they once more vanish into the unknown, taking their secrets with them. Yes, that is loneliness pure and undefiled; but to one who knows and loves it, the wilderness is not lonely, because the spirit of nature is ever there to keep the wanderer company. He finds companions in the winds—the sunny streams babble like Nature's children at his feet; high above them, in the purple sunset, are domes and minarets and palaces, such as no mortal man has built, in and out of whose flaming doors the angels of the sun seem to move continually. And there, too, is the wild game, following its feeding-grounds in great armies, with the springbuck thrown out before for skirmishers; then rank upon rank of long-faced blesbuck, marching and wheeling like infantry; and last the shining troops of quagga, and the fierce-eyed shaggy vilderbeeste to take, as it were, the place of the cossack host that hangs upon an army's flanks. "Gold-mining!" he broke in; "ah! 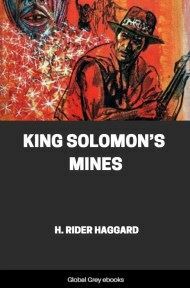 yes, I once went gold-mining at Pilgrims' Rest in the Transvaal, and it was after that that we had the business about Jim-Jim and the lions. 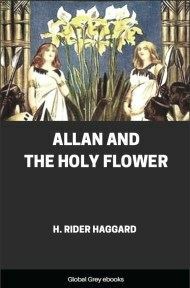 Do you know Pilgrim's Rest? Well, it is, or was, one of the queerest little places you ever saw. The town itself was pitched in a stony valley, with mountains all about it, and in the middle of such scenery as one does not often get the chance of seeing. 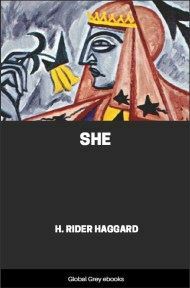 Many and many is the time that I have thrown down my pick and shovel in disgust, clambered out of my claim, and walked a couple of miles or so to the top of some hill. Then I would lie down in the grass and look out over the glorious stretch of country—the smiling valleys, the great mountains touched with gold—real gold of the sunset, and clothed in sweeping robes of bush, and stare into the depths of the perfect sky above; yes, and thank Heaven I had got away from the cursing and the coarse jokes of the miners, and the voices of those Basutu Kaffirs as they toiled in the sun, the memory of which is with me yet.